When it comes to your marketing mix, there are many different things to consider, but there are a few techniques that every B2B business should be using. Link building is one of these. The plain and simple definition of link building is the process of gathering external links to your website from other sites and blogs. But despite its simplicity as a concept, as a practice it is far from easy or straight forward. Without anyone linking to it, your website is likely to go unnoticed, and no matter how usable, good looking and helpful it is, its potential will be squandered. Links are at the heart of the internet’s structure – they provide connections between the many disparate pages and websites that exist, both for actual human users and search engines such as Google. To expand on the first point, by achieving a link on a website related to yours, you gain an opportunity to receive additional traffic from interested B2B buyers who click on the link. The reason it’s important for SEO is that the search engines place a lot of emphasis on inbound and outbound links when determining where a website should rank in their results. In the past, many webmasters would simply try to accumulate as many links as possible to their website, regardless of what sites were linking to them and how relevant they were to their own content. This may have worked once, but it certainly doesn’t today. 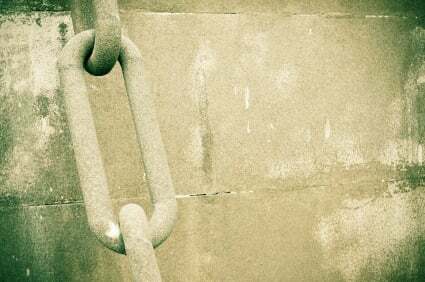 High quality links = Links to your site which are from high quality websites relevant to your field, which are themselves ranked highly and considered authoritative sources. Low quality links = Links from sites that have little relevance to your own, are low quality and are low down in the search engine results pages. There are a number of ways to build up high quality links to your website, such as article marketing and guest blogging, and what works best will be what is most suitable for your particular business. Next week we’ll look at how you can build a robust network of links to propel your site up the search engine results pages and get you noticed by more B2B buyers.